Following the successful National Retail Federation’s annual conference in New York, it was a pleasure showcasing our products at two further trade fairs in Germany. At the EuroCIS in Düsseldorf, one of the leading trade fairs for Retail Technology, we introduced our new function “Multi Device Stitching”, that facilitates tracking people (customers) via multiple sensors in broad entrance areas, checkout areas and shop floors. 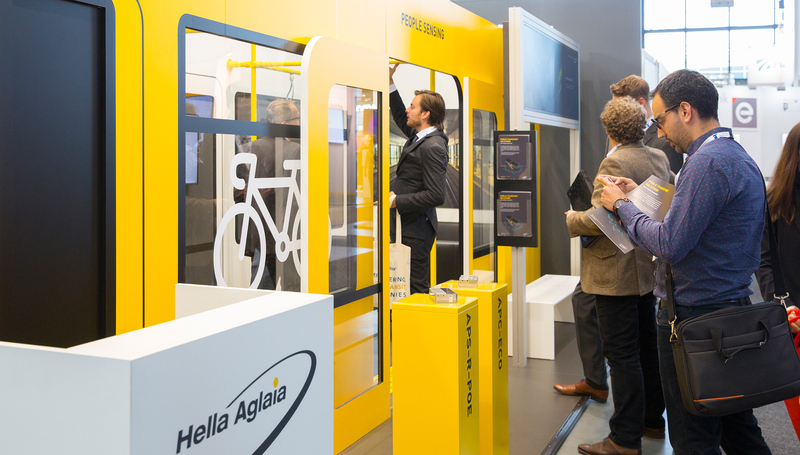 At the IT-Trans for Public Transport in Karlsruhe our sales team presented the latest generation of 3D people counters for busses and trains with a focus on the new bike-counting function. Our Berlin subway-style booth was a special eyecatcher!